Move with the music to overcome even the most difficult hazards, like laser beams or insane camera angles trying to explode both your balls and your brain. 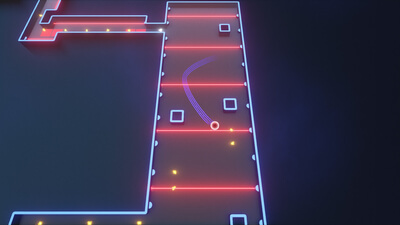 The dynamic music by Emmy-nominated composer Nicholas Singer is tailored to the rhythm and style of each level, with sound effects adjusting to the level's music. Without it, you'd fail even harder. Not included. Instead, be guided by floor texts that make fun of you when you fail and drop awful puns even if you unexpectedly don't. Discover secret areas that lead to other secret areas which in turn lead to other secret areas. You get the idea, and maybe even the rainbow that awaits you at the end of the treasure. Probably you'll just google it though. 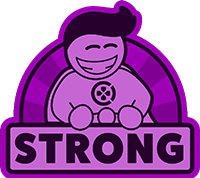 If you can take the difficulty on the chin, you'll experience a broad range of top-notch puzzles, that are well-executed and overlaid with a cheeky, playful tone. Rolling a ball around around a level shouldn't be this much fun. Road to Ballhalla is an insanely difficult rhythmic puzzler. 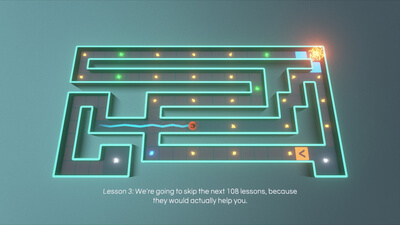 It’s enjoyable and agonizing in equal measure, tossing a variety of trials at you then teasing you when you don’t overcome them on the first try. For those who can fight their way through and remain cool-headed, dozens of neat features and hours of playtime await. An entertaining game that fulfills its function of entertaining the player. Perfect for anyone who loves games in this genre. 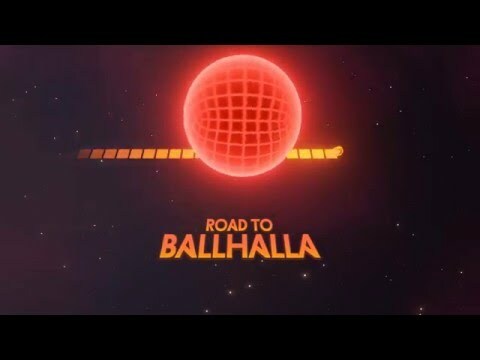 Despite the punishing difficulty, Road to Ballhalla just has that special something that can keep players coming back. A sleek visual design, a fantastic supporting soundtrack, and clever puns and gentle mocking of your failures all come together to make something that’s as fun as it is frustrating.